The Rebel Sweetheart. 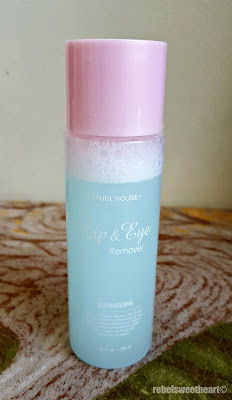 : Spotlight | Etude House Lip & Eye Remover. Spotlight | Etude House Lip & Eye Remover. After having our passports renewed at DFA Alabang two weeks ago, I made a beeline for the nearest Etude House store, located at the ground floor of ATC (that's Alabang Town Center, in case you didn't know). I was supposed to buy a box of Bubble Hair Coloring, but alas, they do not have Wine Red in stock! I didn't want to leave the store empty-handed, so I ended up buying this Lip & Eye Remover instead. Sounds scary, I know. Haha! The product sounds scary, I know. Haha! 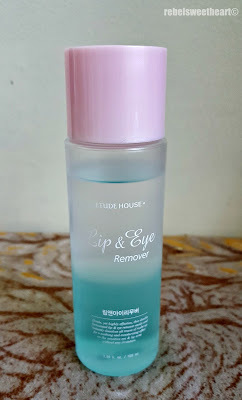 That they should have named this 'Lip & Eye Makeup Remover' was my first thought when I saw this product. The grammarnazi in me wanted to insert a caret and add the word 'makeup' as I was paying for this bottle at the cashier. 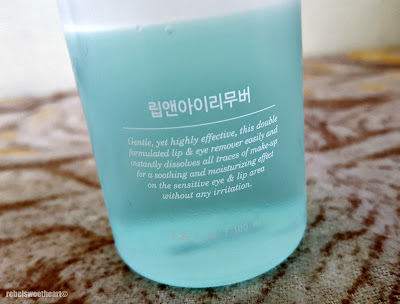 Anyway, if you pay attention to the product description on the bottle, you will know that it's supposed to remove makeup and not exactly your eyes or lips. Directions for use and product ingredients listed on the back. "Gentle, yet highly effective, this double formulated lip & eye remover easily and instantly dissolves all traces of make-up for a soothing and moisturizing effect on the sensitive eye & lip area without any irritation." - so goes the product description. It's a dual phase product, so you have to shake it well before using. Comes with an easy-twist cap. 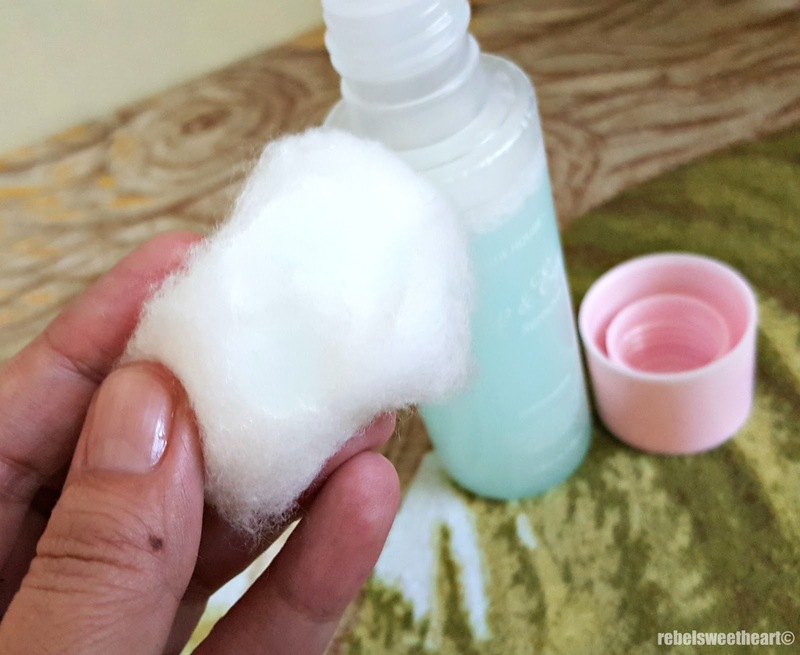 Apply a few drops (about three or four will do) on a cotton pad, then wipe it on your face, starting with your eyes and lips. This product smells a lot like baby oil, which some of you may find a bit off. I'm not crazy about the scent, but I don't hate it, either. A few drops of the product on the cotton ball. It does a good job of removing makeup, even those hard-to-remove waterproof mascaras. It does not sting the eyes, and it does not feel greasy on the skin. However, this product does not work too efficiently with shimmery eyeshadows. There were still hints of shimmer on my eyelids when I removed my makeup using this product. Not that I wear eyeshadow very often these days, especially with this hot and humid and weather in the Philippines. All that gunk off my face. - Doesn't sting the eyes. 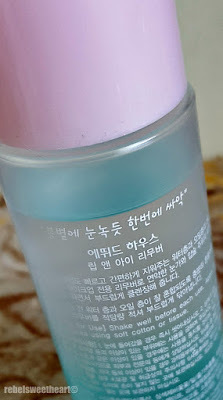 - Affordable price (Php 198 - the cheapest among all the makeup removers that I have tried). - Struggles with shimmery eyeshadow. - Personally, I am bothered by the name of the product. Haha! I just finished up my eye make up remover and need to buy more. I should try this kind. I have a similar one! It does a great job cleaning out makeup but feels a bit oily after, which doesn't bother me. Still very useful at its job. Looks like it works great! I love that it's non-greasy, too! 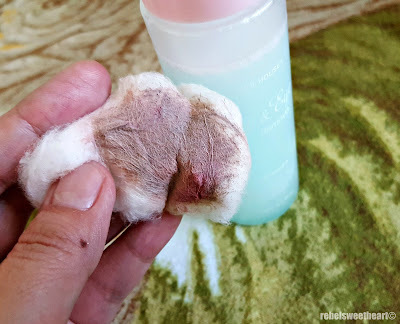 Haha, if you're not familiar with beauty products that might scare you. Anyway, good to know that it works well. Thanks for the review! I love that red wine shade from Etude too! Seems like a great product to try. Looks pretty amazing and effective too! I've been looking for a new eye makeup remover. I need to give this one a try! The name bothered me too. I don't wear very much make up and when I do, I typically use soap and water to remove it. Yes, the name sounds scary, lol. But the package looks beautiful & I love that it helps removing makeups so easily. 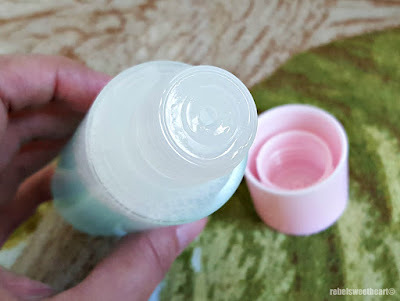 I would love to try it as it could remove waterproof mascaras as well. Oooo this remover sounds fantastic!!! I will have to check it out! Pucker Up! | ColourPop Ultra Matte Lip in Limbo. Seoul Searching | Top 10 Must-Try Korean Food. Seoul Searching | Lotte World Folk Museum. Seoul Searching | Fun at Lotte World! Playing Real Money Games while Traveling. Spotlight | Innisfree No-Sebum Blur Primer. Seoul Searching | Dazed in Dongdaemun. How to Renew your Philippine Passport.